Special Occasions like Weddings, Showers, Bar Mitzvahs, and Birthdays are a special time that can hold memories for many years to come. Treat your guests with some custom Chocolates. 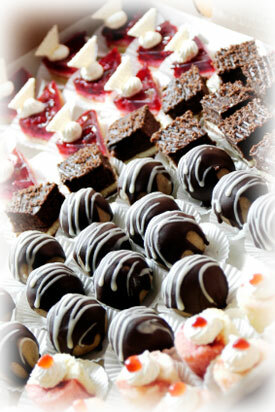 Everyone loves Chocolate and we make our delectable delights look just as good as they taste. We can custom create special treats from our many different molds or create delights using one of our many dipping techniques. There is virtually no limit to the number of combinations that we can create. We encourage you to speak with one of our creative consultants for an overwhelming assortment of ideas.